I haven’t ever uploaded any videos on my site. My newest iPhone shoots decent video so maybe I should from time to time. With the new blog name it is time to try something new. 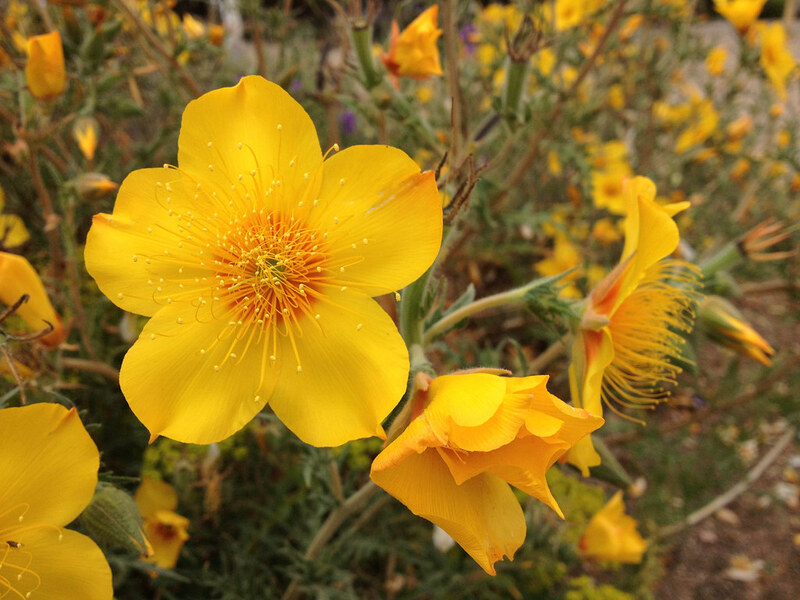 Here are some honeybees enjoying California native annual, Mentzelia lindleyi, in my garden recently. The warmer it is the more honeybees there are (sometimes it seems there are over a hundred of them). Be sure to watch the video in HD with the volume turned up. 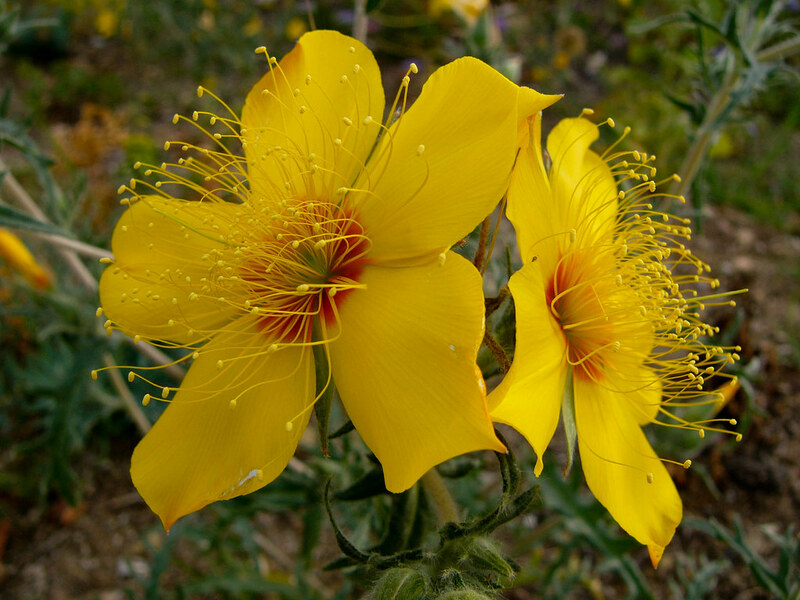 One of my great central California native annuals that reseeded is Mentzelia lindleyi. This clump has been blooming non stop for about two months and looks like it will still keep going for a while longer. And perfectly contrasting with the purple flowers of the European Consolida regalis. Up close the showy stamens look like little fireworks. The plants are a little course and weedy looking (at least according to one of my neighbors who thought it was a dandelion or something) but I don’t think they are so bad and when they are covered in blooms you don’t really notice the foliage at all. My first clump of these to start blooming began way back at the end of January but they were right by the road and got demolished by the construction guys. But how tough is this plant? So tough that this snapped off stem of that planting lay on the soil without any water and stayed blooming like this for an entire week before it wilted! Even though I have been really busy I try to take the time to snap a few photos in the garden. 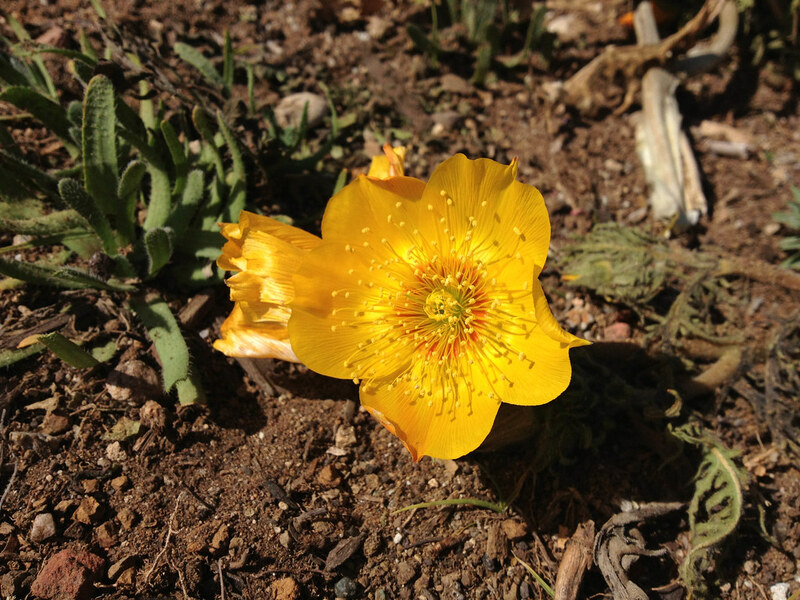 Here are a few of the things that are blooming now. 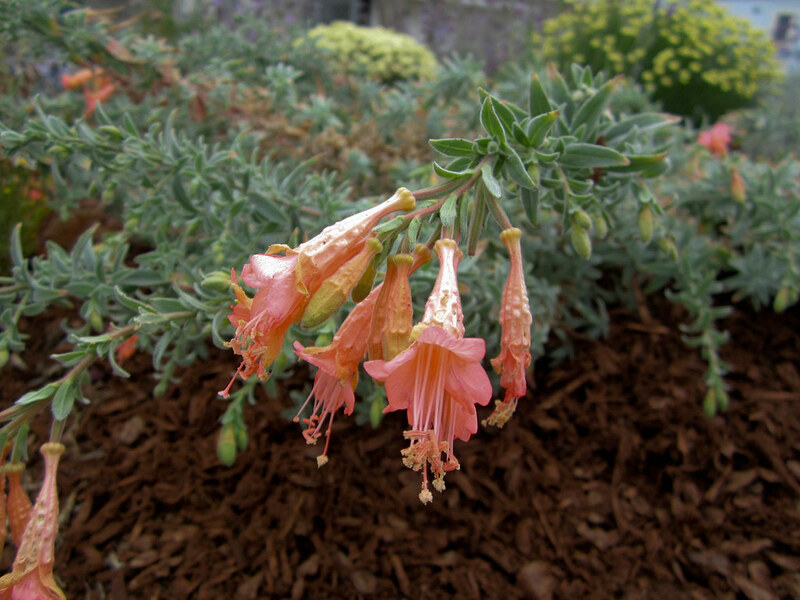 I think this Epilobium is sort of insipid. I would have been happier with the standard bright red blooms rather than this pale salmon cultivar. But one of my neighbors loves it. Maybe in the fall I’ll dig it up and give it to her. 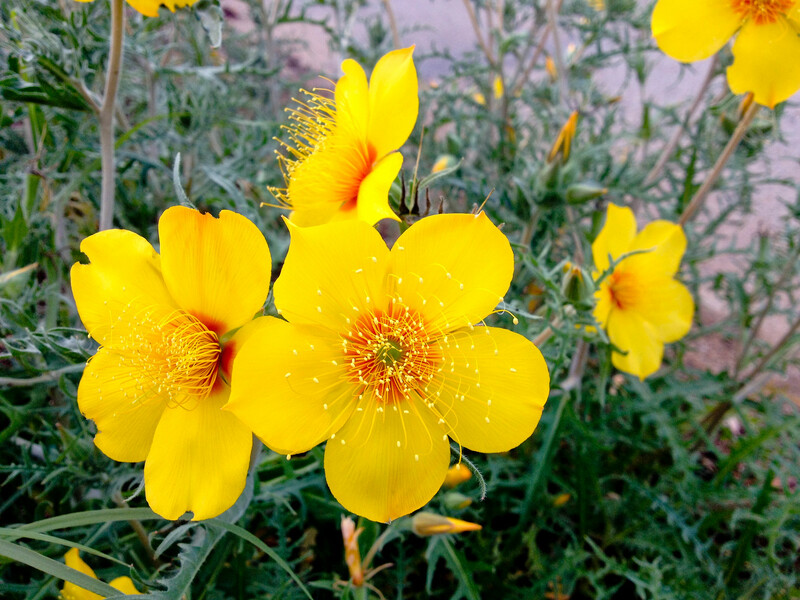 Nothing insipid about Mentzelia lindleyi. 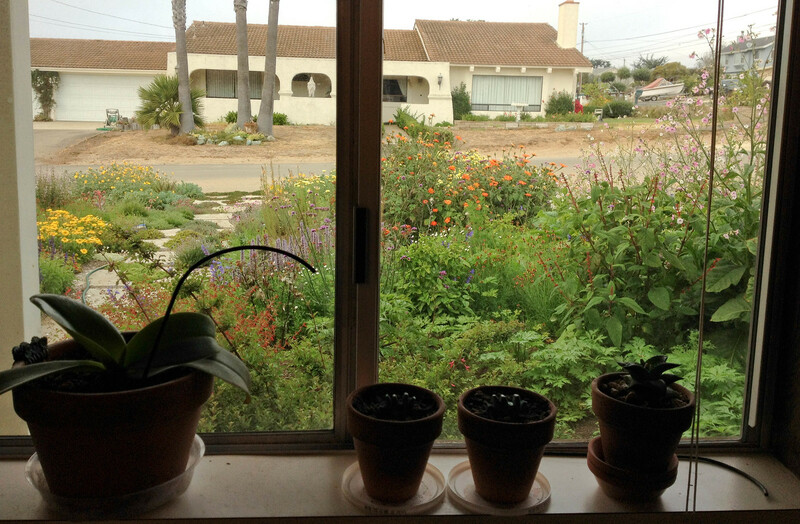 This is another California native annual I grew from seed. 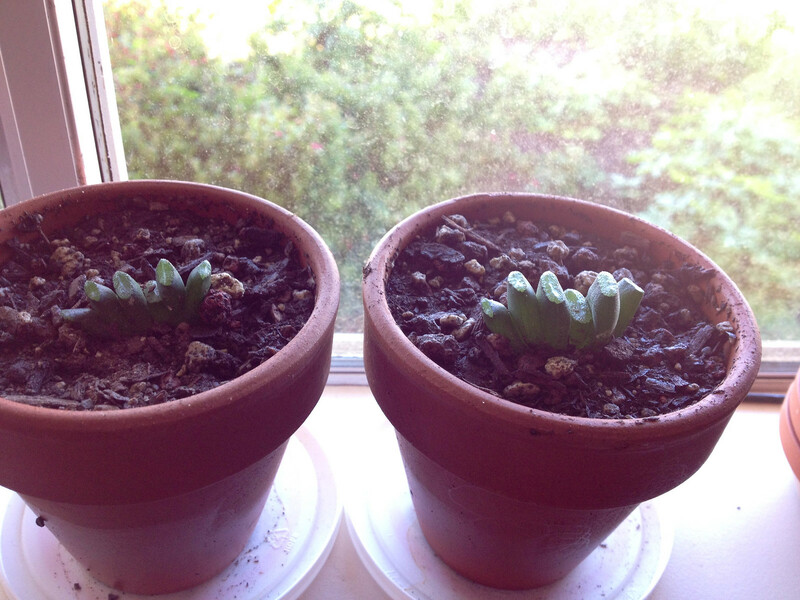 They are doing well despite the fact that I left them in little two inch pots way longer than I should have. 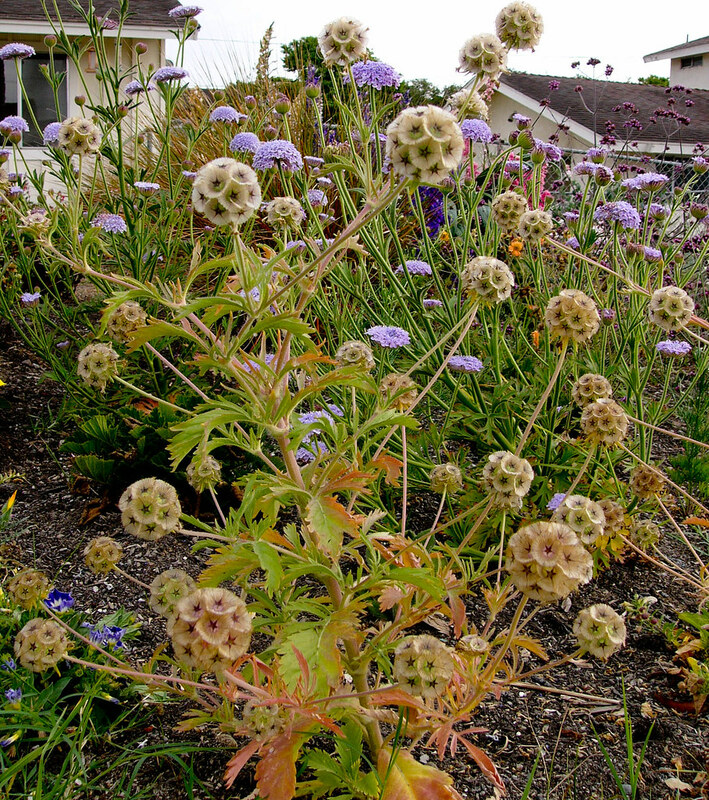 This plant is grown more for the ornamental seed heads than the flowers. 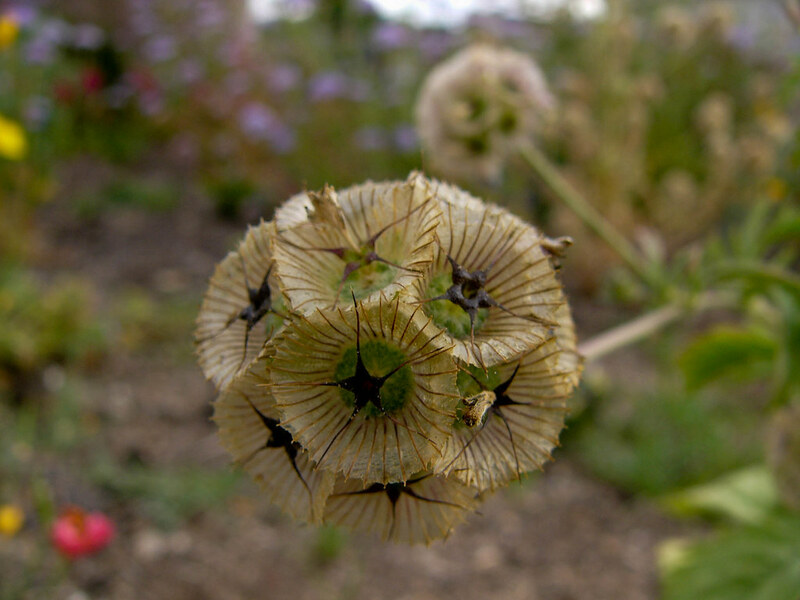 The blooms are typical pale blue Scabiosa flowers but they very quickly go to seed. This was very easy to grow but I am not sure I will grow it again. 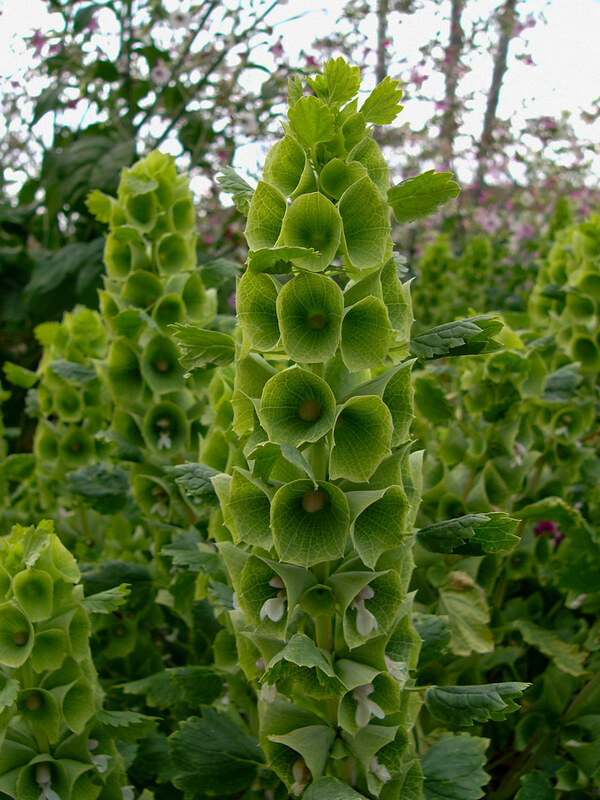 They are more a novelty plant and aren’t that ornamental in large quantities in the garden. Maybe a few tucked in here and there would work but I planted about a dozen of them and from a distance it just looks like I have a bunch of dead plants in my garden! And lots of grass coming up. Please ignore the grass. 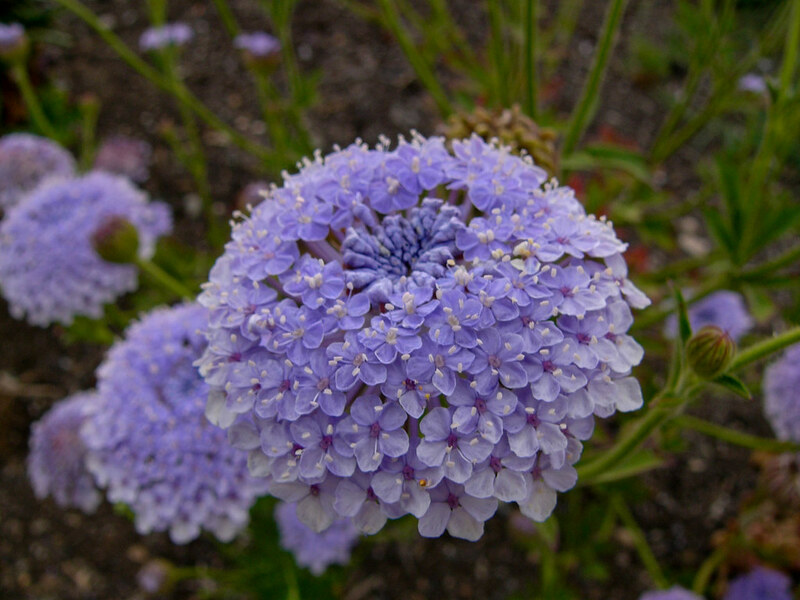 Didiscus caeruleus (aka Trachymene caerulea) on the other hand is very ornamental. 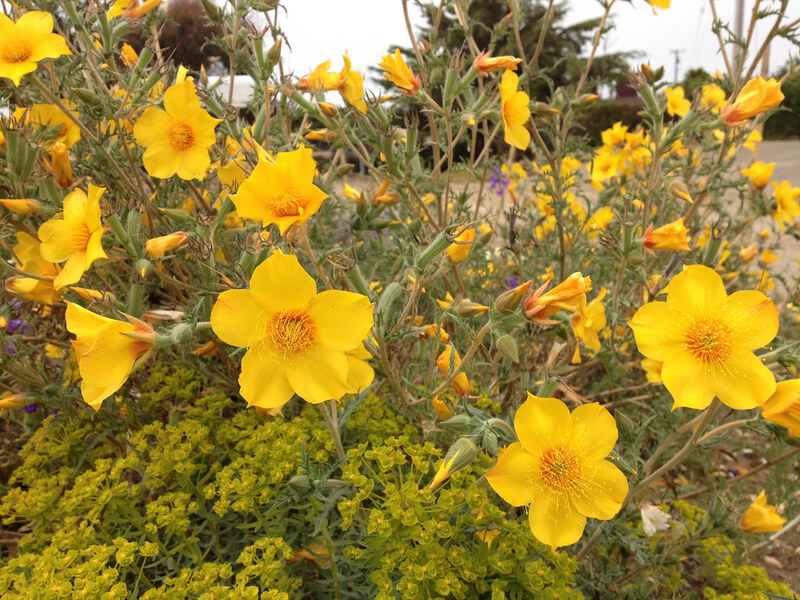 It is an Australian annual and is very drought tolerant, and while it was super easy to grow from seed, it did take them about six months to bloom. 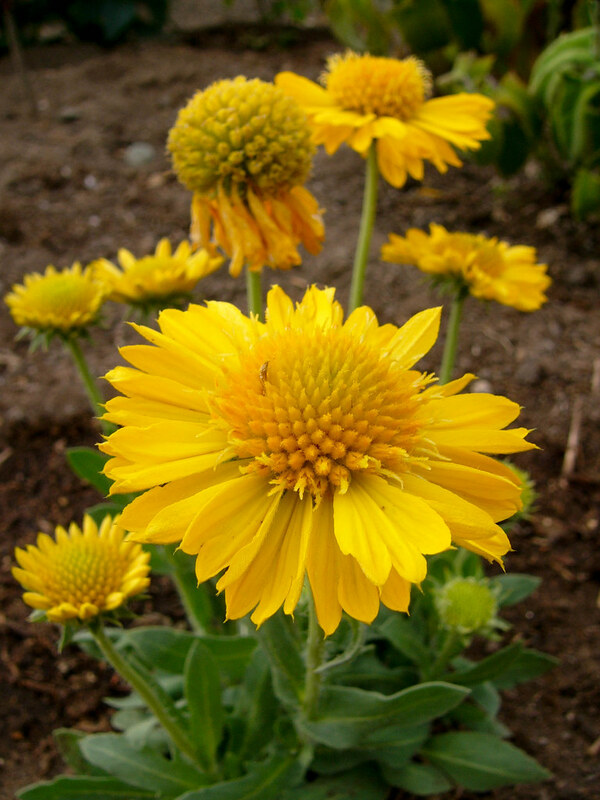 They are amazing as a cut flower lasting about two weeks in a vase. Does anyone cut flowers from their garden? I almost never do. Sometimes if something snaps off in the wind I will bring it inside. 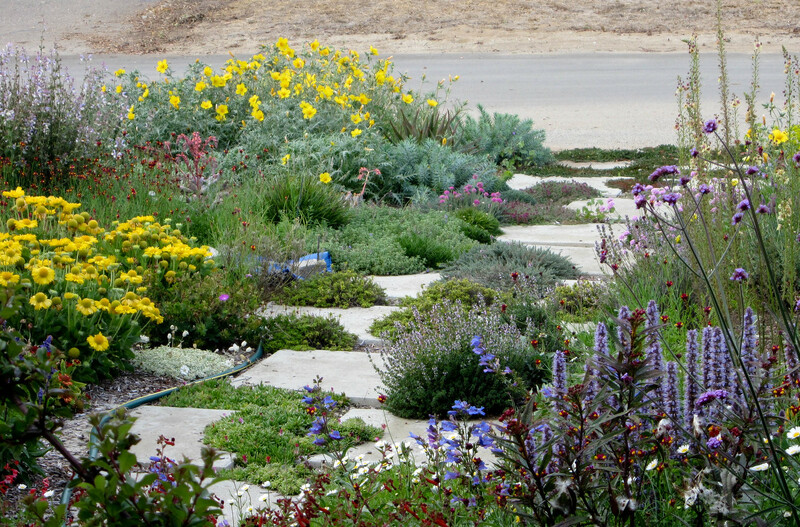 I love the idea of a cutting garden but in reality I would rather just enjoy them outdoors. If I bring them inside I’ll just have a mess of flower petals to clean up inside. They are also available in pink and white but one of the things that makes them so neat is that blue is not a common color in umbellifers. The red seed heads are ornamental too. Moluccella laevis is still going strong. I finally finished planting the bed in my fenced backyard. It is mostly Salvias but I have been so happy with the Gaillardia in other parts of my garden I couldn’t resist adding these yellow ones. 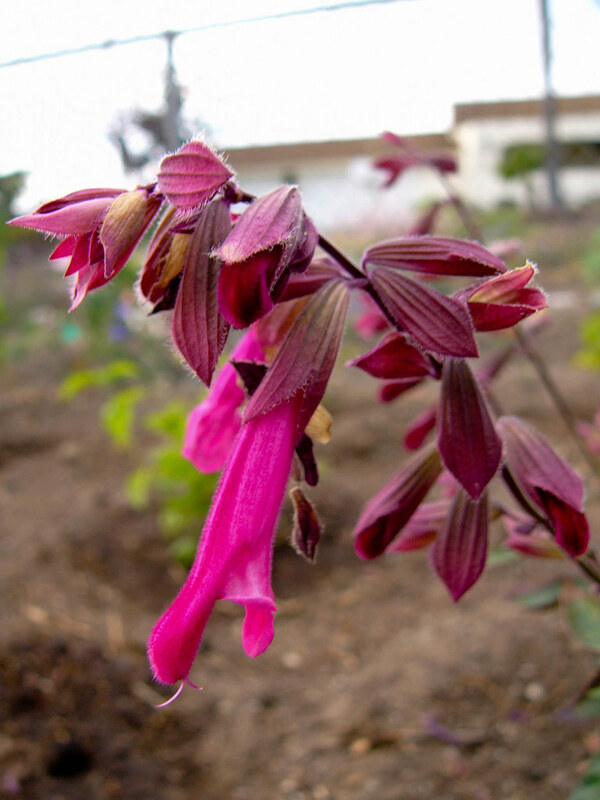 Salvia ‘Wendy’s Wish’ was a chance hybrid seedling found by an Australian gardener. Maybe a mix of S. buchanii and S. vanhouttei? 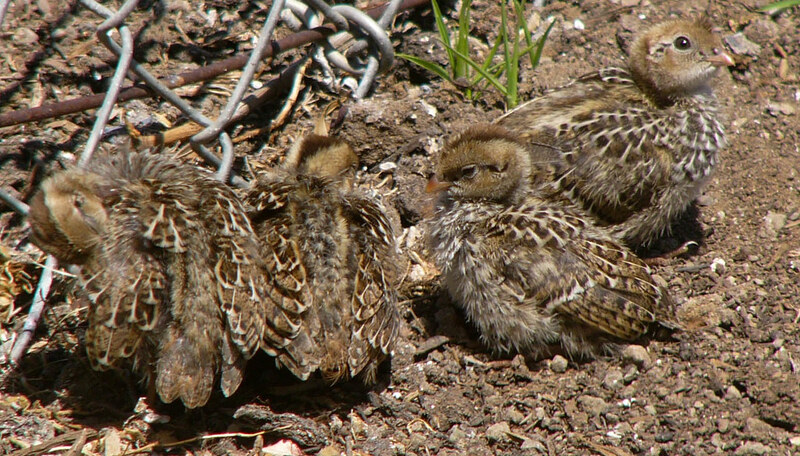 Finally the baby quail in the neighborhood are growing up. A pair of proud parents brought seven little babies around the other day. They grow so fast! Already out of the tiny walnut stage and growing in their first feathers. Hopefully I’ll have more time soon to post some new updates. I’ve been taking some photos so that I can post an update about what worked and what didn’t work in the path garden. Look for it soon(ish)! 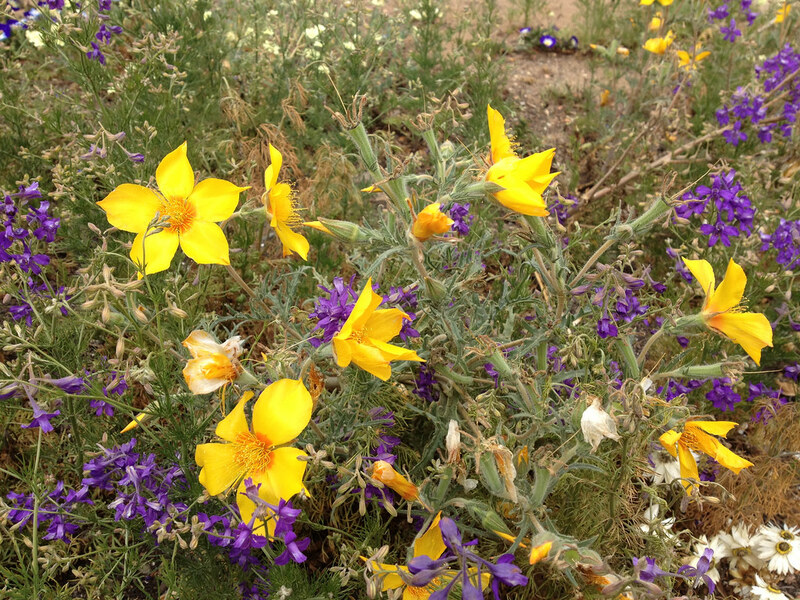 This weeks cool plant is another native annual. 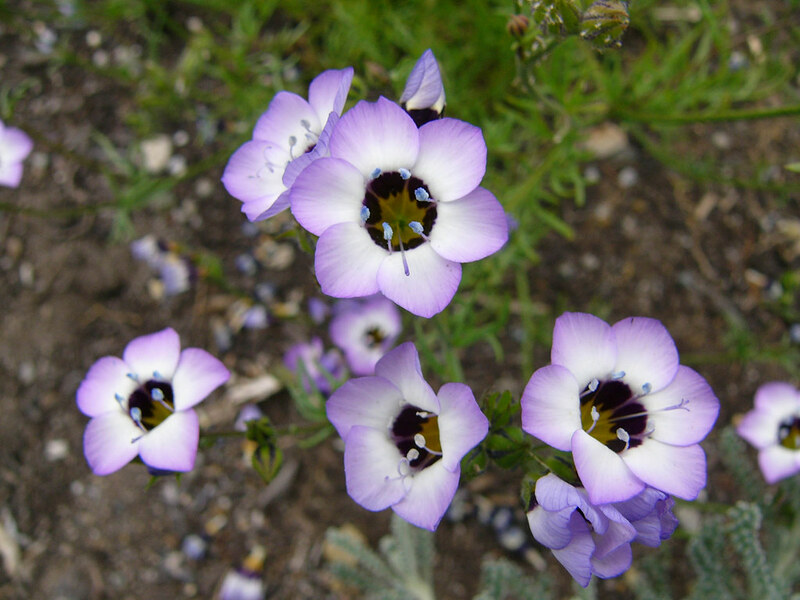 Gilia tricolor is endemic to California and found in the foothills and valley as well as on the coast. 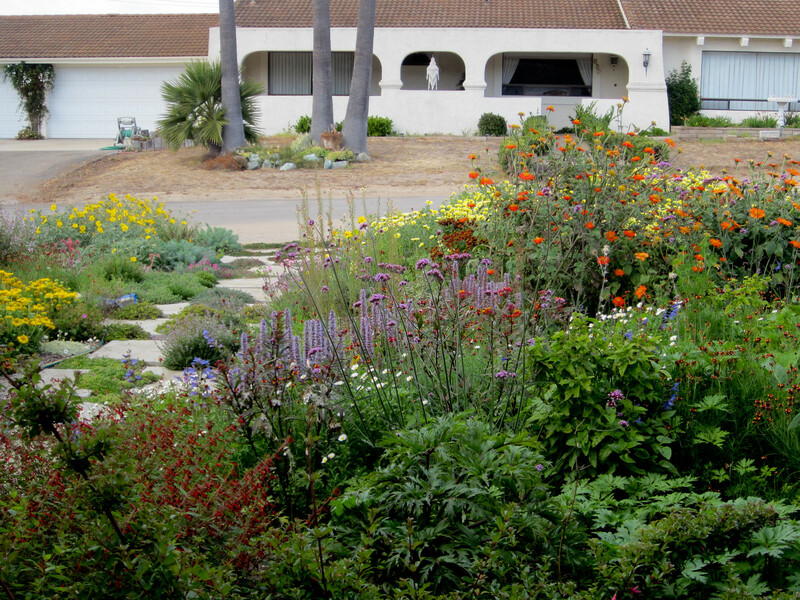 It is so easy to grow from seed that I think it is well worth giving a try even if you don’t live in California. 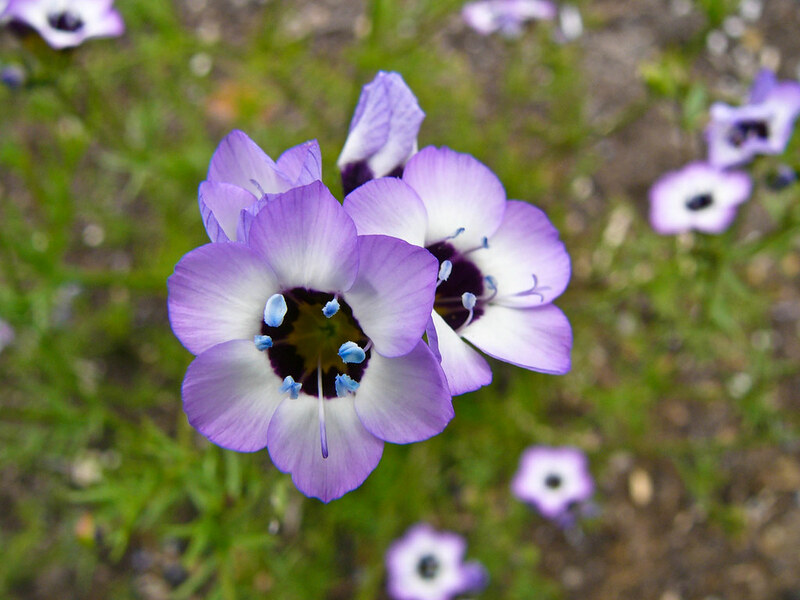 With its bright blue anthers and petals of lavender, maroon, and yellow perhaps “Gilia quadricolor” would have been a better name. 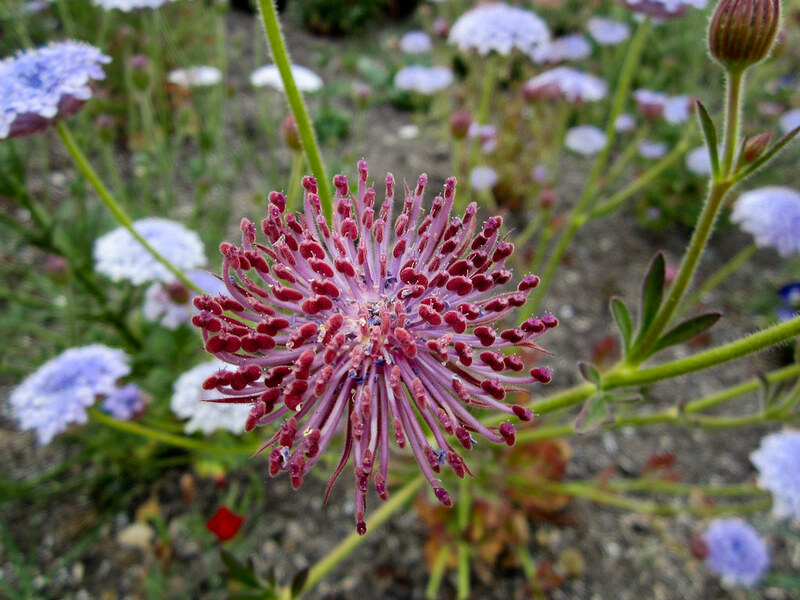 It is a great filler or companion, I have some growing with Orlaya and Scabiosa. 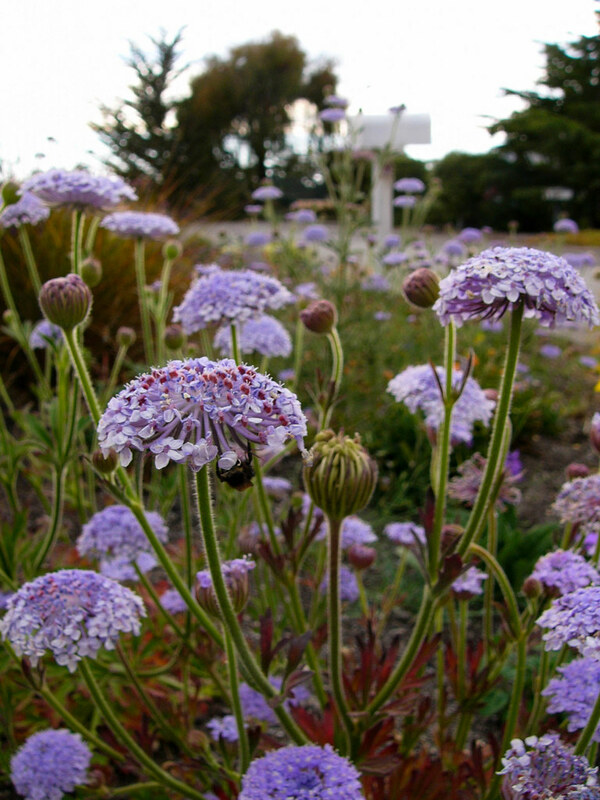 Each plant is covered with hundreds of little blooms on ferny foliage that waves and bounces in the breeze. Kind of like a pale purple Gypsophila or Heliophila. I consider this a must for the spring garden now. My only regret is that I didn’t grow more of them. Something I plan on remedying next year.